Iran’s Supreme Leader says some Arab countries "have become servants of America and the Zionists". "Unfortunately, the rulers of some Islamic countries do not adhere to Quranic teachings and instead of being ‘harsh against the unbelievers,’ they have become servants and followers of America and the Zionists; and instead of being ‘merciful to one another,’ they pave the way for divisions and wars, like the wars in Yemen and Syria, and the massacre of Muslims,” Khamenei said, according to local media. 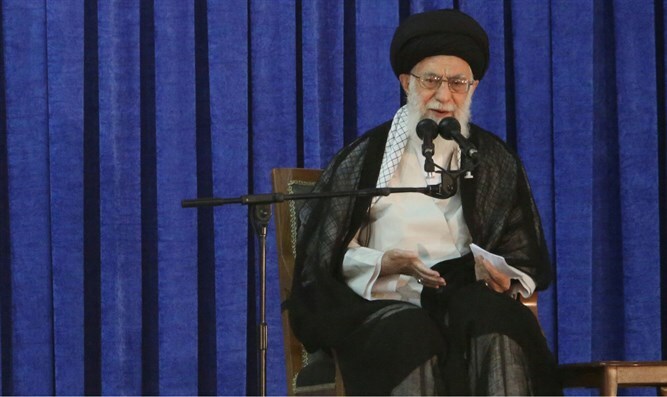 "Although today the hostilities look more than they were in terms of both volume and intensity, these actions and conspiracies are the last throes of our enemies’ enmity with the Islamic Republic,” said Khamenei. Khamenei regularly verbally attacks Israel. He has several times in the past referred to the Jewish state as a “cancer” and threatened to "annihilate" the cities of Tel Aviv and Haifa.